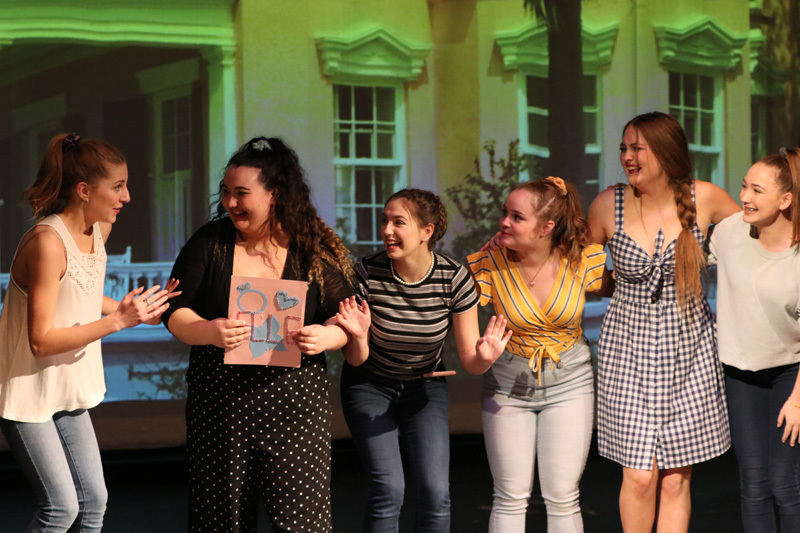 Chestermere High School’s rendition of the early 2000’s classic story of female empowerment, Legally Blonde Jr. the musical, brought families and students together for a night full music and laughter. The performance begins with the Delta Nu sorority sisters preparing Malibu sorority girl Elle Woods, played by Marinda Kleinsasser, for an expectant proposal from her boyfriend Warner, played by Michael Tran. However, during romantic dinner Warner states he needs someone serious, leaving Woods broken hearted. Following the break-up, Woods decides to show her ex-beau that she can be serious and attends Harvard Law School in pursuit to win back her old flame. From the moment Woods steps onto the Harvard Law School campus with her pink blazer, pink high heels, and pink purse with a dog in tow, she had to battle against the typical blonde stereotypes her peers cast onto her. However, after hearing the devastating news that Warner had quickly moved on to another love interest, Woods decides to prove to her ex that she belongs at Harvard just as much as the rest of her classmates. With encouragement from her salon technician, Paulette played by Isabella Mercer, law professor Emmett played by Tomi Gmitter, and her Delta Nu sorority sisters, Woods was able to prove her peers wrong and win a murder case, which ultimately won back the affection of her lost love. After winning the murder case and helping her friend Paulette gain custody back of her beloved dog, Woods finds her real passion for practicing law and helping others. The performance ends with the Harvard Law School class graduating, and Woods declaring her love for someone new. Legally Blonde Jr. the musical is chock-full of life-lessons, including gaining confidence, not letting people take advantage of you, not being defined by a stereotype, being unique, and finding what you are passionate about, that audience members took away from the performance. The packed audience laughed, clapped, and cheered throughout the musical, which made the performers give-it-their-all. 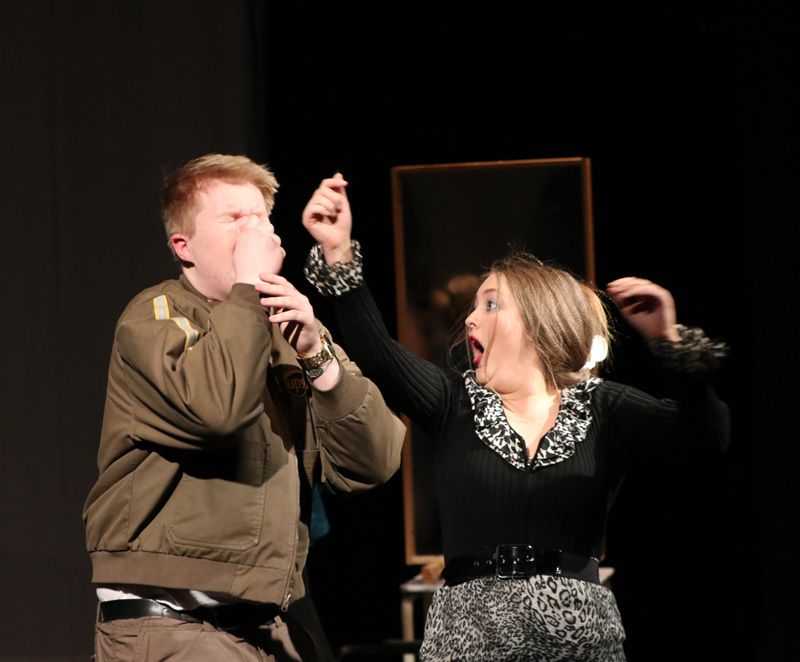 One scene that caused the audience to erupt in laughter was when Paulette tried to impress the UPS Guy Kyle with the “Bend-and-Snap” but had accidently hit him in the face. This performance was a feel-good, light-hearted, preppy take on the early 2000’s classic story of a blonde proving people’s preconceived notions of her wrong, and it was incredible. The students were terrific, it was apparent that countless hours went into preparing for the performance, from ensuring everyone had the correct pitch, knew their lines, and knew the choreography. 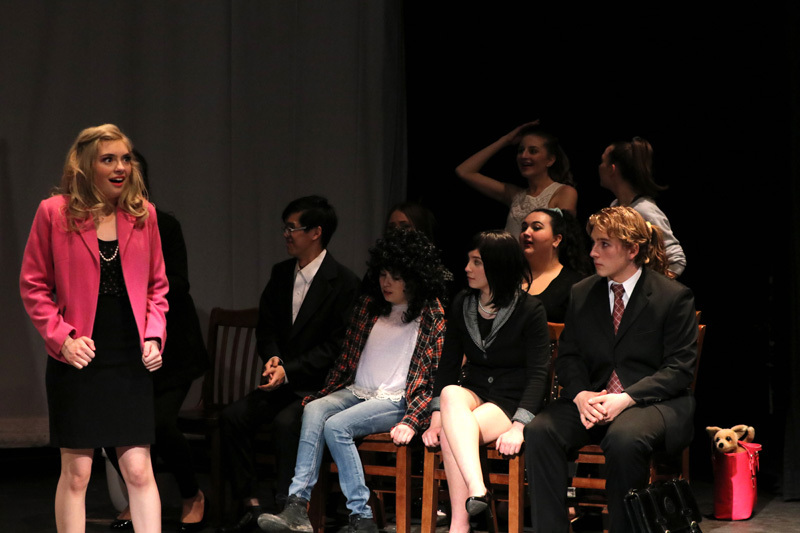 The Chestermere High School students take on Legally Blonde Jr. the musical was amazing. Residents should take the opportunity to support the young local talent in the community by supporting a future performance.